Soprano Jamie-Rose Guarrine is acclaimed for her vibrant vocal beauty, charming stage presence, and accomplished musicianship. Of her portrayal of Susanna in Le nozze di Figaro, Opera News described her as “a natural object of attraction for the men in the play,” her voice as “light, flexible and vibrant — well suited to the part of a scheming maid and romantic ingénue.” She has performed on the stages of Los Angeles Opera, Minnesota Opera, The Santa Fe Opera, Wolf Trap Opera, Opera Philadelphia, Chicago Opera Theater, Austin Opera, Utah Opera, Fort Worth Opera, the Madison Symphony, the Saint Paul Chamber Orchestra, the Santa Fe Chamber Music Festival, The National Symphony Orchestra of Costa Rica, San Antonio Symphony, the Santa Fe Symphony, among many others. In recent seasons, Guarrine returned to Austin Opera and the Florentine Opera for her signature role of Susanna in Le nozze di Figaro, Opera Omaha as Poppea in Händel’s Agrippina,and the Minnesota Opera as the Fiakermilli in Richard Strauss’ Arabella, and as the title role in Donizetti’s Lucia di Lammermoor at Opera Saratoga in New York. Her performance repertoire ranges from the baroque such as the Pergolesi’s Stabat Mater and Keiser's The Fortunes of King Croesus to modern works such as the roles of Xanthe/Aphrodite in Mark Adamo's Lysistrata and Maria Celeste Philip Glass' Galileo Galilei. Current and recent projects include the role of Fury in the world premiere performance of Julian Wachner’s Rev. 23 at the PROTOTYPE Festival and Beth Morrison Projects in NYC and Boston, her debuts with the in Boston and Trinity Wall Street in Händel’s Jephtha, joins Smith college for the Brahms Requiem, sings Händel’s Messiah with Augustana College, Duke Chapel Choir, and the Jacksonville Symphony, and returns to the Florentine Opera of Milwaukee singing the role of Pamina in Mozart’s Die Zauberflöte. Mezzo-soprano Annie Rosen's performances have been acclaimed as “fearless,” “intensely present,” and “soul-crushingly vulnerable.” A 2017 graduate of the Lyric Opera of Chicago's Ryan Opera Center, she returned to the Lyric as a principal artist this season in the role of Siébel/Faust. Other engagements this season included recording Leonard Bernstein's A Quiet Place under the baton of Kent Nagano in Montreal, singing the lead role of Stepmother/The Juniper Tree at Wolf Trap Opera, creating the role of Eve in Julian Wachner's Rev23, and headlining Opera Omaha's ONE Festival performance series as the title role in Ariodante. The upcoming months include a return to Wolf Trap as Anna I/The Seven Deadly Sins and Stéphano/Roméo et Juliette, as well as debuts with Chicago Opera Theater, Utah Opera, ​and Central City Opera. Rosen began her first season at the Ryan Center in 2016 jumping in as Mélisande/Pelléas et Mélisande in rehearsal with the Chicago Symphony Orchestra conducted by Esa-Pekka Salonen; she then "knocked the ball out of the park" (Chicago Classical Review) in her Lyric Opera debut as Tisbe/La Cenerentola, conducted by Sir Andrew Davis. Later in the season, Rosen created the role of Edith Thibault in the world premiere of Bel Canto, which aired on PBS's Great Performances series in January 2017. Other work as a Ryan Center artist included understudying Adalgisa/Norma and performing Ascagne/Les Troyens, Wellgunde/Das Rheingold, and Second Lady/Die Zauberflöte, all at the Lyric Opera. 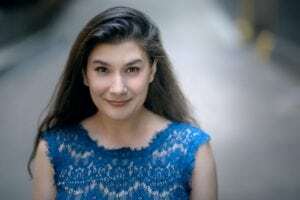 Through the Opera Foundation's American Berlin Scholarship, she spent the 2012-13 season at the Deutsche Oper Berlin, where she performed roles including Mercédès/Carmen and Sméraldine/L'amour des trois oranges. Rosen then made her Italian debut as Giannetta in a new production of L'elisir d'amore at the Teatro Regio di Torino. Canadian tenor Josh Lovell is in his final year as a member of The Patrick G. and Shirley W. Ryan Opera Center at the Lyric Opera of Chicago. He is the 2nd place winner of the 2018 Dallas Opera competition, and was a 2017 semi-finalist with the Metropolitan Opera National Council Auditions. In the 2018/19 season, Josh Lovell will continue his tenure with The Patrick G. and Shirley W. Ryan Opera Center, performing Odoardo in Ariodante, Le Doyen de la Faculté in Cendrillon, and a Trojan in Idomeneo. He will cover the roles of Arbace in Idomeneo, the Young Servant in Elektra, and Lurcanio in Ariodante. On the Chicago concert stage, Josh Lovell will debut with Music of the Baroque, performing Bach’s Coffee Cantata, conducted by Jane Glover, as well as Händel’s Messiah with The International Music Foundation and Apollo Chorus. He will also debut the Evangelist in Bach’s St. Matthew Passion with the Victoria Philharmonic in Canada, and sing select Bach cantatas as well as the Magnificat with Baroque ensemble I Musici de Montréal. As part of the 2017/18 season at the Lyric Opera of Chicago, Josh Lovell made his main stage debut as The Emperor Altoum in Turandot. Other assignments included covers of the title role in Orphée et Eurydice, as well as Bruno and Arturo in I Puritani. He sang opposite Susan Graham and Nathan Gunn as part of the Jazz Trio in Bernstein’s Trouble in Tahiti, in the “Celebrating 100 Years of Bernstein” concert at Lyric Opera of Chicago. With Lyric Unlimited, Mr. Lovell covered the role of Timothy Laughlin in Gregory Spears’ Fellow Travelers. In the summer of 2018, Josh Lovell debuted Count Almaviva in Il barbiere di Siviglia with the Aspen Music Festival and School and Don Ottavio in Don Giovanni with the New Generation Festival, performed in the Gardens of the Palazzo Corsini al Prato in Florence, Italy. He was also a participant in the The Britten–Pears Young Artist Programme in the UK. Past operatic work includes Ferrando in Così fan tutte as part of the Ryan Opera Center as well as at the University of Michigan, Lysander in A Midsummer Night’s Dream, Rinuccio in Gianni Schicchi, also at the University of Michigan, and Normanno in Lucia di Lammermoor and Bardolfo in Falstaff with Pacific Opera Victoria. As an artist with the Merola Opera Program at San Francisco Opera, Josh Lovell performed scenes from The Rake’s Progress and Le Comte Ory. While at the University of Michigan, he also portrayed Bao Yu in workshop performances of Bright Sheng’s Dream of the Red Chamber, a new work commissioned by San Francisco Opera. 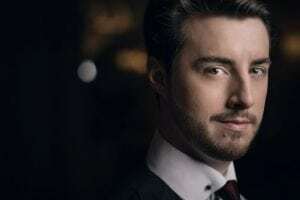 An avid concert performer, Josh Lovell has performed Messiah with The Victoria Symphony in British Columbia as well as with the Toledo Symphony. Other orchestral work includes Mozart’s Requiem with the Detroit Symphony Youth Orchestra, Bach’s Mass in b minor with The Handel Society, Handel’s Jephtha with the Oakland Choral Society and Bach’s St. John’s Passion with the Victoria Baroque Players. Additional professional and academic awards and honors include a Vancouver Opera Guild grant, 3rd place in the Marcello Giordani Foundation International Vocal Competition, the Johann Strauss Foundation scholarship, which allowed for a period of study at the Universität Mozarteum in Salzburg, Austria, and a winner of the Cooper-Bing International Opera Competition with Opera Columbus. A Victoria, British Columbia native, Josh Lovell is a 2017 graduate of the University of Michigan, where he studied with Stanford Olsen. Previously, he was a student of Benjamin Butterfield at the University of Victoria, and currently studies with Julia Faulkner. Upon finishing his time with the Ryan Opera Center, Mr. Lovell will join the Ensemble of Vienna Staatsoper in Vienna, Austria. Young American bass Evan Boyer has performed with some of the most prominent operatic and orchestral organizations, conductors, and directors, both nationally and internationally. 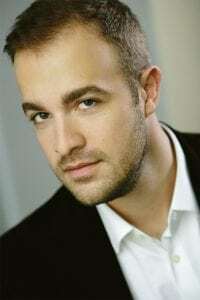 Since graduating from the Lyric Opera of Chicago's Ryan Opera Center in the spring of 2013, Mr. Boyer has performed with Canadian Opera Company, LA Opera, Seattle Opera, Cincinnati Opera, Palm Beach Opera, the Atlanta Symphony Orchestra, the Dallas Symphony Orchestra, the Chicago Symphony Orchestra at Ravinia, the Houston Symphony, and many others. He has performed with such artistic luminaries as Seiji Ozawa, James Conlon, Robert Spano, Jaap van Zweden, Johannes Debus, and Sir Andrew Davis. In the winter of 2018, Evan sang with the Elgin Symphony in Mozart's Requiem, followed by a debut with the the Pacific Symphony as Sarastro in Die Zauberflöte. He goes on to perform Basilio in Il barbiere di Siviglia (role debut) with Opera North this summer. In the fall he will debut with the Louisville Orchestra in Mozart's Requiem, conducted by Teddy Abrams, and perform Lodovico in Otello with Austin Opera. The winter will see him in performances of Messiah, first with the Lexington Baroque Ensemble, then the Peoria Symphony Orchestra, and then with the Apollo Chorus at the Harris Theater in Chicago. In 2017, Evan made his Kennedy Center debut with the Atlanta Symphony Orchestra in performances of Creation/Creator, after having revived the work in Atlanta. He also appeared in recital with Robert Spano and the other soloists from Creation/Creator in a National Gallery performance entitled "Songs on Creation." In the spring he performed Beethoven's 9th Symphony with the Southwest Michigan Symphony Orchestra, and made his debut with the Kalamazoo Symphony Orchestra as both the Commendatore and Masetto in Don Giovanni. In the fall he sang Truffaldino in Ariadne auf Naxos and Warden Benton in Dead Man Walking, both with Kentucky Opera. He then returned to Lexington to perform Messiah​ with the Lexington Baroque Ensemble at Christ Church Cathedral. 2016 highlights include a debut with Cincinnati Opera as Angelotti in Tosca, a recital for the Kentucky Governor's School for the Arts, and Messiah with the Lexington Baroque Ensemble. In 2015, Evan performed Ramfis in Aida and Lo Zio Bonzo in Madama Butterfly with Wolf Trap Opera; returned to the Atlanta Symphony Orchestra for the world premiere of Christopher Theofanidis's Creation/Creator with Robert Spano; debuted in Mozart's Requiem with Jaap van Zweden at the Dallas Symphony Orchestra, both in Dallas and at the Bravo Vail Festival; sang Armchair/Tree in L'enfant et les sortilèges with Seiji Ozawa on tour in his Ongaku-Juku Festival in Japan; and performed Colline in La bohème with Palm Beach Opera. Performances in 2014 included Messiah with the Jacksonville Symphony; a return to the Houston Symphony in Mozart's Requiem with Andrés Orozco-Estrada; Evan's debut as Masetto in Don Giovanni with Seattle Opera; a concert performance of Salome with the Chicago Symphony Orchestra under James Conlon at the Ravinia Festival as Second Soldier, Cappadocian, and the Fifth Jew; the King in Aida with the Atlanta Symphony Orchestra under Robert Spano; Pulcinella and Beethoven's Mass in C with the Houston Symphony; and Samuel in Un ballo in maschera with Canadian Opera Company. In 2013, after graduating from Lyric Opera of Chicago's Ryan Opera Center, Evan debuted with Canadian Opera Company in performances of Salome and Dialogues des Carmélites; sang Colline in La bohème at the Teatro Nacional in the Dominican Republic; returned to Lyric Opera of Chicago for Lodovico in Otello, as well as their Stars of Millennium Park concert as Raimondo in an extended excerpt of Lucia di Lammermoor; and debuted with LA Opera as Sarastro in Die Zauberflöte with James Conlon. During Mr. Boyer's three-season tenure in Lyric Opera of Chicago's Ryan Opera Center, from 2010-2013, he was involved in seventeen productions. He performed the roles of Sarastro in Die Zauberflöte, the King of Egypt in Aida, Pietro in Simon Boccanegra, Zuniga in Carmen, Luther in Les contes d’Hoffmann, and Count Ceprano in Rigoletto, and also appeared in productions of Die Meistersinger von Nürnberg, Ariadne auf Naxos, Boris Godunov, La bohème, La fanciulla del West, Lohengrin, and Macbeth. He covered in eleven productions, including Raimondo in Lucia di Lammermoor, Sparafucile in Rigoletto, Theseus in A Midsummer Night's Dream, and Sam and Tom in Un ballo in maschera. Other performances in 2012 included a debut with The Cleveland Orchestra as the First Nazarene and First Soldier in concert performances of Salome at Severance Hall and again at Carnegie Hall, a recital in his home state of Kentucky for the Governor’s School for the Arts, and a concert performance of Act I of Così fan tutte with the Grant Park Music Festival as Don Alfonso. In 2011, Mr. Boyer made his UK debut as Sarastro with Garsington Opera, debuted with the Alabama Symphony in Bach’s Cantata No. 82, and returned to Chicago Opera Theater to sing Créon in Charpentier’s Médée, where he made his professional debut in 2010 as Oreste in Cavalli’s Giasone. Mr. Boyer received his Master of Music in Opera from the Curtis Institute of Music, where he was heard as Enobarbus in Antony and Cleopatra, Conte Rodolfo in La sonnambula, Leporello in Don Giovanni, King René in Tchaikovsky's Iolanta, Doktor in Wozzeck, Trulove in The Rake’s Progress; Barone Trombonok in Il viaggio a Reims, Bartolo in Le nozze di Figaro, and José Tripaldi in Golijov’s Ainadamar. Mr. Boyer was a member of San Francisco Opera’s Merola Opera Program in 2009 where he was featured in the Schwabacher Summer Concert and covered Don Alfonso in Così fan tutte. A member of the Tanglewood Music Center in 2008, he sang Alaska Wolf Joe in The Rise and Fall of Mahagonny and Captain Petrovich in Eugene Onegin. He received his Bachelor of Music in Vocal Performance from Northwestern University, where he performed Don Alfonso in Cosi fan tutte and Prince Gremin in Eugene Oengin, and attended the Chautauqua Institution in 2006 and 2007, where he appeared as Don Alfonso in Così fan tutte and Seneca in L'incoronazione di Poppea. He was a 2009 National Semifinalist in the Metropolitan Opera National Council Auditions, after being awarded the Grand Prize at the Middle-Atlantic Regional Finals. He is the Grand Prize winner in Men’s Voice of the Union League Civic and Arts Foundation, and was the 2nd Prize winner of the 2009 Opera Index, Inc. competition. Additional grants and awards have been received from the Licia Albanese-Puccini Foundation, the Giulio Gari Foundation, the Chicago Bel Canto Foundation, the American Opera Society, and the Louisville Bach Society.